One will agree when we say that the world today is more digitized, dynamic and influential than witnessed ever before. With a competitive feel, every company wants to rank it's name on the No.1 position and shine among the top searches of Google and other search engines. Google is a search entity that solely works for people. It aims to deliver relevant and useful data to a user when he submits a search. Thus, websites that fulfill the wants of a user based on their hunt is ranked high, getting more traffic and conversions. Yes. Search Engine Optimization is good for websites! But the question arises- are all SEO methods equally good? Some methods dealing in optimization don't give swift results and take time but prove effective in the long run. The rest on the flipside work nimbly but end up drastically leaving you and your website into an undesirable situation. To judge an SEO approach there are ways invented and iterated delivering the best and far-reaching the public questing their thirst of exploration. Google, the overlord, has developed enormous search ranking algorithms and has undergone countless changes in them. The versions made, are merely designed to improve the relevancy of the outcomes its users receive by following its principle of “Quality First”. After all, the ranking algorithms are what Google uses to make decisions on distinguishing sites to set their placement in the ascending order as per its content delivery and standard. 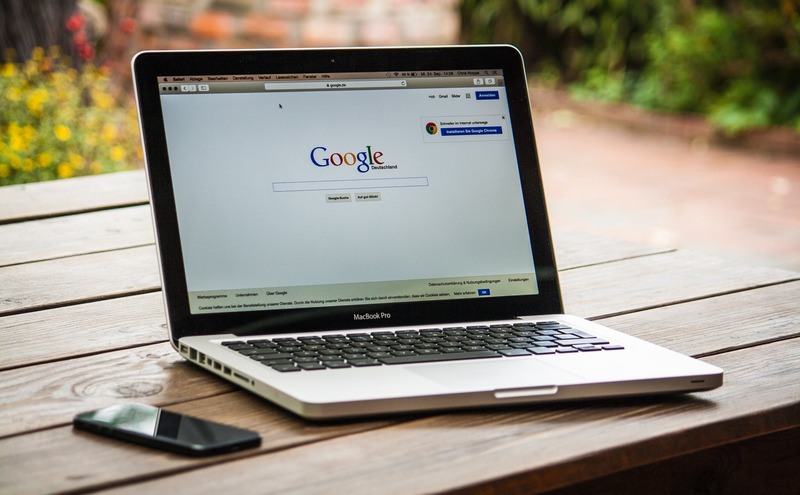 Let’s take a look at some of the significant Google search algorithms to stay notified and up-to-date as a webmaster or a business owner to gain profits eventually. The Panda algorithm (named after one of its engineers) made its arrival in the 2011 beginning. The primary objective with which the search algorithm was forged was to lessen the number of low-grade sites appearing at or near the top of Google’s results. This algorithm was the first major step that Google took in more accurately dispensing valuable and knowledgeable data to users and filtering out the ones of low quality. The Penguin was released in the year 2012. Though it shares a common base with Panda to give better and active outputs, specifically, it focuses on the backlink profiles of the sites that affect their ranking. Dubious links from gloomy sources negatively impact your website’s rankings for which Penguin makes sure that such circumstances are never seen. By reworking on Google’s indexing methods and algorithms, Hummingbird saw its emergence in 2013, with a different aim, unlike Panda and Penguin. The name of the algorithm comes from its capability of being precise and fast which centres its aim to focus on the meaning of the word or phrase to provide better results in search. Google Pigeon launched in 2014, dramatically altered those searches in which the user’s location plays an important part. Pigeon created a close connection between local and core algorithms which further meant that conventional SEO factors are now being used to rank locale based (local and non-local) Google results. As the update uses location and distance as crucial factors for positioning sites, it connected Google Web Search and Google Map Search cohesively. Google’s Mobile-Friendly update emerged in 2015, ensures that mobile-centric pages take up a high rank in mobile search filtering out those who are not optimized for mobile. An innovative step of Google introduced a new mobile search ranking factor that examined user-experience quality when viewed on small screens. While Panda, Penguin, and Hummingbird have broken the industry norms, Google continues to refine its algorithm with its recent updates including the RankBrain, Fred, Possum and Page Rank. The tech giant continues to make updates and renewals on its long-running algorithms after periodic intervals, giving the end-users a smooth experience on their diverse searches and researches. Upgrading and improving your search engine's visibility needs the implementation of an ethical approach to SEO and paying heed towards Google’s notifications, and alerts are a must to succeed and reach the apex. The SEO industry sees a hike every year with loads of improvements and refinements making it an evergreen field of IT. One can reap the benefits from the same with an SEO Certification in hand to make a future-bright carrier thus, getting an upper edge over the rest. Considered one of the principal sites for SEO professionals administering the SEO business for a prolonged time. One can gain knowledge about SEO tools and related Google SEO updates from Moz. A standout option amongst most prominent resources of SEO. Its web journals are of real worth giving useful insights about the recent search algorithms notifications by Google. You can rely upon the best search engine tips and SEO updates by Google on Webmaster World to learn the essential aspects of search marketing. It's well organized and highly informative where a person can get the latest news and trends on search engines algorithms and web marketing. By dispensing the best practical and useful examples and trending SEO news, the resource helps you to widen your knowledge domain of Search Engine Optimization and Google Updates. One of the best places to acquire full-fledged information on SEO, its updates and modifications along with Google’s search algorithm changes. It will enlighten you about vital SEO techniques, patterns and tips, and tricks. With Google’s progressing years, many developments and updations have been evidently changing the norms and strategies of a company. Therefore, it becomes obligatory for search professionals to remain up-to-date with all the recent Google SEO alterations and announcements. Google is the pioneer of search marketing, its algorithm involving regular modifications play a significant role in creating your SEO campaigns to enhance your website’s optimization and ranking.